With the strong and sturdy design of the FELIX Tec 4L a high quality print from top to bottom is guaranteed. 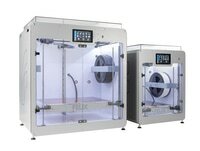 Compared to its predecessor (FELIX 3L) the FELIX Tec 4L is fitted with the most advanced technology to provide an accurate, reliable and easy-to-operate 3D printer. Semi-automatically calibration, a removable flex plate, professional linear guidances and bearings is just a selection of what’s integrated into the Tec 4L. The Tec 4L is specially designed for the client who is required to 3D print the taller than average objects. The Tec 4L offers 400 mm of height, which is almost double the maximum print height compared to the standard Tec 4. Having the 400 mm of height, brings the total printvolume to almost 20 Liters. Create the most beautiful and impressive 3D prints becomes easy with the FELIX Tec 4L. The Tec 4L is available in both Single and Dual head version. 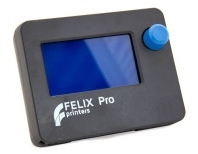 The upgradable concept of a FELIX 3D printer allows for the installation of a second extruder. The optional second extruder allows you to combine two different colours or materials into one single print. Started with a Single Head but willing to work with a Dual Head? The second extruder can also be installed later. This is the true value of having an upgradable 3D printer. Just like every FELIXprinters 3D printer, the FELIX Tec 4L is designed from an upgradable point of view. This means that future upgrades will be available for the Tec 4L and can be installed by the user or by FELIXprinters through the FELIX Upgrade Service. The FELIX Tec 4L can be ordered through the FELIX webshop. Customise and personalise your Tec 4L during the order process to configure your 3D printer just as you want it.